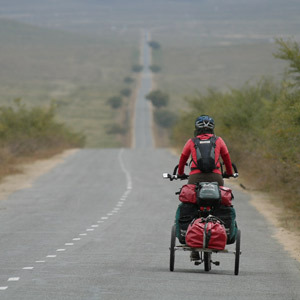 The two travelers did 300.000 kilometers on the backs of camels, horses, elephants, on foot and by all sorts of local means of transport. Their journey takes them to borders and beyond limits. To the borders of countries, continents, their populations and cultures, to their physical and mental limits, to their individual limits. “The great journey” by Tanja and Denis Katzer talks about the longest (probably) documented expedition in human history. It is an exciting travel story taking place around the turn of the millennium, a journey which has not existed in this form since the times of Marco Polo. The two professional travelers focus on the deeper meaning of life and the protection of our planet instead of superlatives of travelling. View here trailers on different expedition sections.